The Ray White Aspley consists of a dynamic team of committed, dedicated and professional achievers who excel through their enthusiasm and determination to deliver a superior service that exceeds their clients expectations. The Ray White Aspley has a long and proud history in the Brisbane Real Estate industry on the Northside of Brisbane, spanning over 30 years and one which has grown rapidly in the last few years. 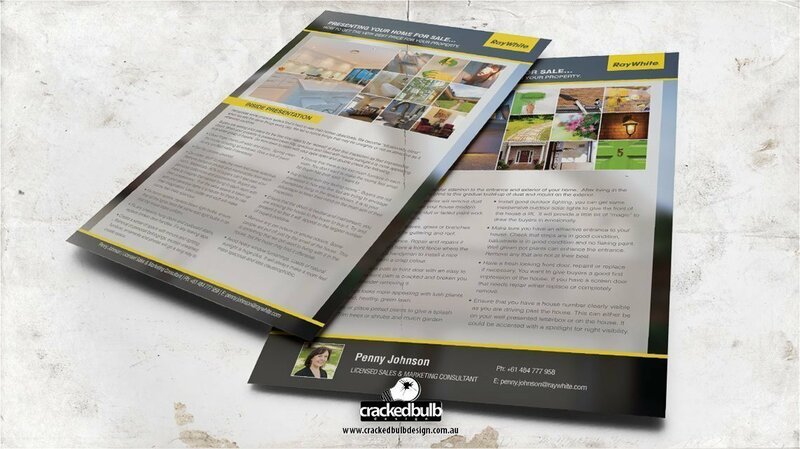 A big thanks to The Ray White Aspley for giving Cracked Bulb Design the opportunity to design their Brochure Print artworks.